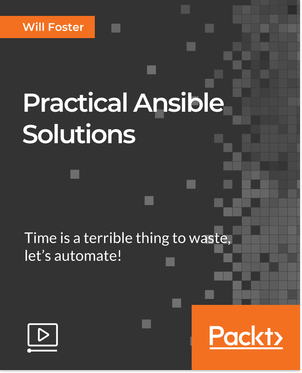 There’s a lot of Ansible books, video courses and guides out there but I wanted to make something that focuses on getting up and running quickly – quick and dirty Ansible for busy people. 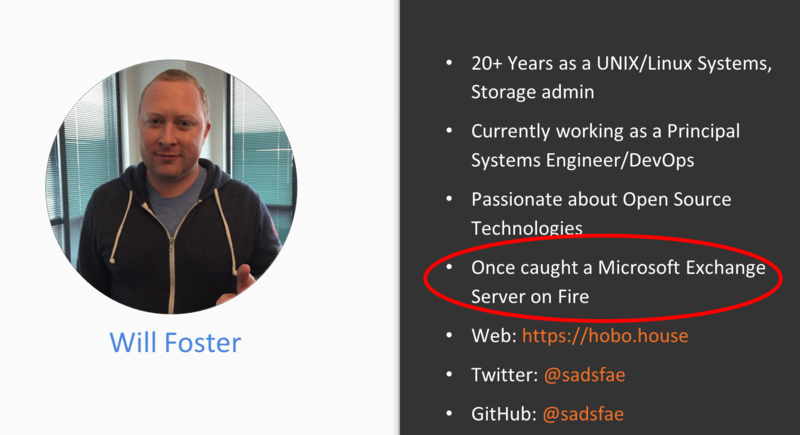 You can certainly trust someone who caught a Microsoft Exchange Server on Fire. Since I can’t stand when someone makes an outlandish claim and doesn’t explain it, this deserves a little background. I explained this on Twitter, this happened around 1999-2000 for a previous employer I will not name. Ask me more questions in the comments and I’m happy to answer. You can read the full description on the Packt publishing website but here is an abstract of what you should expect with the course. Core concepts—such as setting up the inventory and playbooks, ad-hoc commands and quick and dirty heavy lifting will get you up and running quickly. We’ll then dive into proper playbook organization and using handlers, variables, conditionals and logic for maximizing the efficiency of your automation workflow. We’ll also dive into handling growth and multi-role playbooks and stack orchestration. As we move onward to victory we will dive into systems lifecycle management so you can handle users, software and packages, authentication, services and application/web content with ease as well as touch on Ansible Tower/AWX. We’ll end the journey with consuming and using Ansible Galaxy so you can borrow, share and collaborate with the vibrant Ansible Open Source community and the plethora of community roles and playbooks available on the internet. What Kind of Audience is Targeted? I tried to make things ideal for beginners with a central theme of getting things done quickly because you don’t have a lot of time. At a minimum you will need access to a Linux-based environment with Ansible installed. This could be an Amazon AWS instance, VM on a laptop or even perhaps WSL (Windows subsystem for Linux). 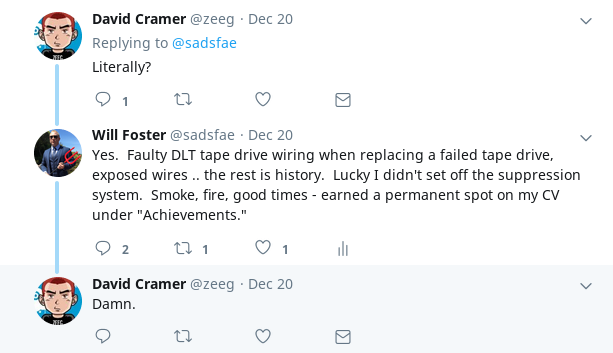 I do not cover installation and setup of your environment, and assume that you have beginner exposure to the Linux command line, systems administration concepts and are familiar with a text editor. This course is ideal for systems administrators, developers and hobbyists that want to learn the basics of Ansible but not spend too much time on theory and jump right into some practical application and hands-on examples. This was my first foray into publishing an official video course with a publisher, however I’ve made a few video tutorials and stream on YouTube occasionally. I used the following setup that I blogged about here for those interested. The entire course was created on Fedora Linux using OBS Studio. When creating a video course always triple the amount of time you think it will take you. Between creating the slides and talking points, mocking up the workflow you want to cover, actually writing Ansible code for the course and finally recording it will take you much longer than you anticipate. All of the example playbooks used in the course that we run, modify and break are found on the Packtpub Github. I suppose imitation^^^thievery is the greatest form of flattery? Within hours of publishing my course a fake, scam e-learning website had scraped the entire course description (and replaced some other dude’s name with my name as the author) and supposedly offered it for download from some malicious, sketchy download links. scanlibs dot com looks to be operated solely for the purpose of stealing and redirecting the content of hard-working content authors for clicks and traffic. For science I tried some of the links to my own course but none of them worked – only sketchy online gambling and dating website pop-ups tried to appear. I’ve reported them already via Twitters counterfeit reporting forms but as of typing this their account is still online. I’ve also followed up with Packt Publishing legal team so we’ll see what happens. This entry was posted in open source, sysadmin and tagged ansible linux training, ansible training, ansible video course, packt publishing ansible, practical ansible solutions. Bookmark the permalink. Just in time. I have been interacting with an Upwork dev to get a couple scripts done to automate reverse SSH between multiple NATed servers connecting to a public IP middleman machine, and also get authn-authz done once the tunnel is set up. 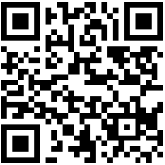 The new task is to automate upgrading existing apps on these NATed servers or create new ones. Ansible seems a good way since we assume that once the bash/python scripts are installed on these minimal Linux NATed servers, the client admin doesn’t have physical access to them and the regular Joe user is not proficient beyond simple password typing on prompts. So I do plan to buy this course ! Hey Shippy, that’s great – love to hear your feedback. Ansible is wonderful for stuff like this. On the NAT’s approach, you can also pass along bastion or jumphosts so Ansible can get into the internal NAT network to run. I didn’t cover this specific aspect in the course but you can use the ansible_ssh_common_args: parameter in your inventory file. This explains it pretty well. This also has some more info, for example if each of your bastion hosts were just the hypervisors/systems that provided the NAT network. You can achieve the same thing through ~/.ssh/config as well probably. Looking forward to going through your video which I am sure will be productive as your articles are. I like the idea of starting with a minimal OS on Linux SBCs like Amlogic TV boxes and adding stuff rather than load a full fledged Android/Debian OS given price/performance and flexibility. These are of course more practical tips and tricks than textbook knowledge. Libreelec’s JeOS approach to shipping/maintaining Kodi is really well done – I use it at home. I haven’t done anything with package management there, though some cursory research shows it uses a simple package.mk / repository layout so probably you can just manage packages like you would Kodi addons. This looked particularly interesting, containers on Libreelec. That might be a good approach once a super lightweight base is installed, assuming the packages/services are a good fit for containers. I suppose you’re referring more to mastering JeOS images with a package base however. With ARM you’d need some sort of a bootstrap environment though as syslinux doesn’t support ARM so you’d need to use grub and make some TFTP/PXE modifications. There’s probably something cool possible with using rpm-ostree, flatpak and other atomic type stateless/sandbox technologies to make your own custom little JeOS appliance images for lower-power ARM and friends chipsets – something like a light-weight Fedora Silverblue approach would be cool indeed, I have not looked into anything like that yet – if you do please tell me about it.